Stanhay precision vacuum planters accurately plant all vegetable and salad crop seeds to produce top quality, high value crops. Seed costs remain one of the highest inputs to row crop farming. Coated seed can be easily planted with moderately priced belt planters, but less expensive raw seed requires more sophisticated machinery. Stanhay vacuum planters have the unique ability to plant both coated and uncoated seed. Growers know the ability to plant raw seed (especially odd-shaped seed), and the accurate placement of individual seeds are benefits that well justify their investment in the Stanhay vacuum planter. Stanhay vacuum planter spacing charts can be downloaded at our Seed Spacing Charts page. Stanhay vacuum planters with the Singulaire metering system plant all vegetable and salad crop seeds. Plants raw (uncoated) or coated seed in 1, 2, 3, or 4 lines with unmatched precision. A thin, flexible seed plate creates an airtight seal. 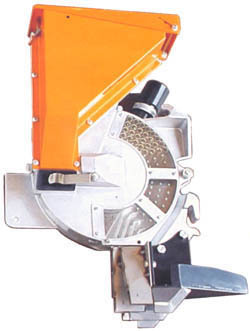 The tractor powered fan creates a vacuum behind the plate, suctioning seed from the hopper onto holes in the rotating plate. 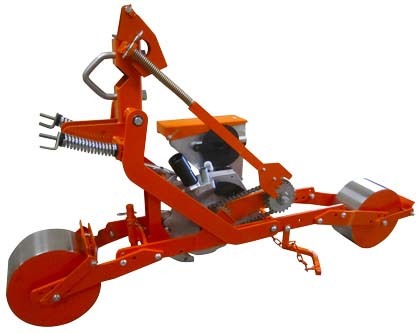 An adjustable singulator removes excess seed, leaving just one seed per hole. 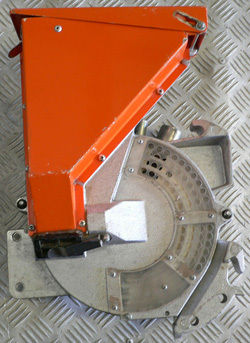 Seed is released at the bottom of the unit directly into the coulter. 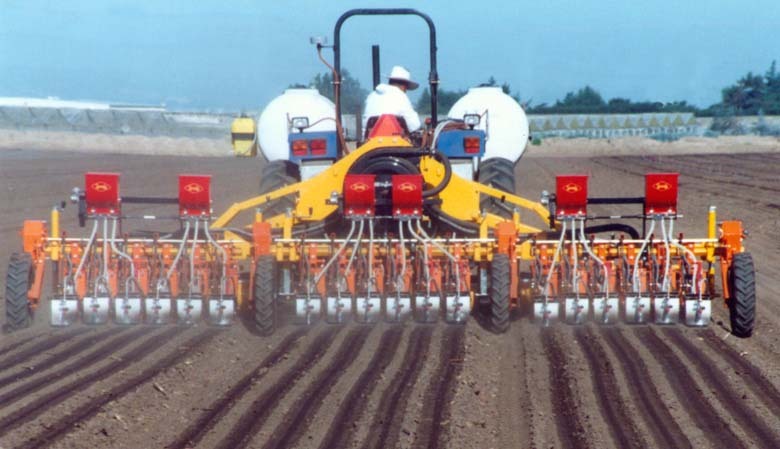 By choosing the right seed plate, you can plant raw or coated seed at almost any spacing pattern. 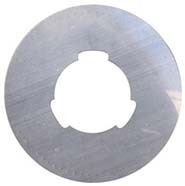 One seed plate usually handles all the grades of any seed type, saving time and expense. Ideal for raw or coated seed, Stanhay vacuum planters plant almost all small vegetable seed at any spacing pattern. Stanhay has produced a great instructional video on Singulaire planters. Click here to watch. Note the video is about 15 minutes long. Spacing is featured at about 2 min in, seed plates at about 6 min., singulators at about 7 min., and planting depth at about the 10 minute mark. Stanhay's high volume fan and air system is unusually quiet. Vacuum and pressure levels are simple to adjust and easy to monitor on gauges inside tractor cab. Stanhay's large diameter land wheels with deep lug tires provide positive drive to the metering units. 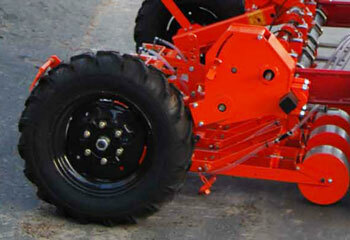 Close ratio chain drive system gives full choice of up to 60 seed spacings and comes in 2 sizes, standard and XL. Easy seed spacing and height adjustment allows for planting on flat or raised seedbeds up to 12-inches high. 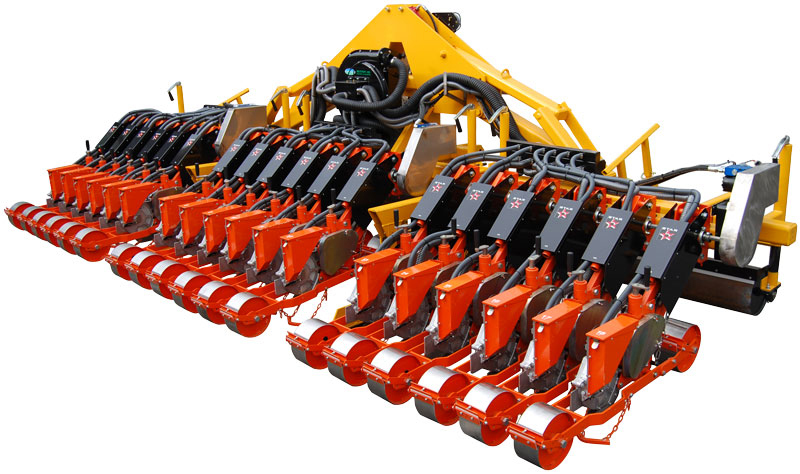 The Stanhay S785 Vacuum Planter with Singulaire metering units is very popular with large scale growers of vegetables and salad crops, and is the premier model for planting multiple-line crops like carrot, onion, and spinach. Eight row S785 planters are common but practically any number of rows is possible. Utilizing the proven Singulaire metering unit, the Stanhay Star Vacuum Planter is the most accurate, versatile and reliable precision planter available today. Star accurately plants all vegetable and salad seeds. Drive to the Star units can be controlled via the close ratio chain drive system, or by hydraulic motor. Click here to see an 18-row Star vacuum planter in action. Is your Stanhay vacuum planter in a state of disrepair? Need parts or modification? If so, check our Stanhay Services page. 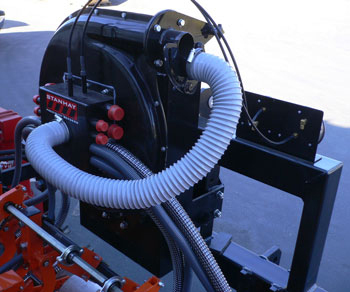 From basic metering unit tune-ups to complete planter rebuilding, we specialize in honest, reasonably priced service. We also offer a wide array of parts new and used for do-it-yourself work.